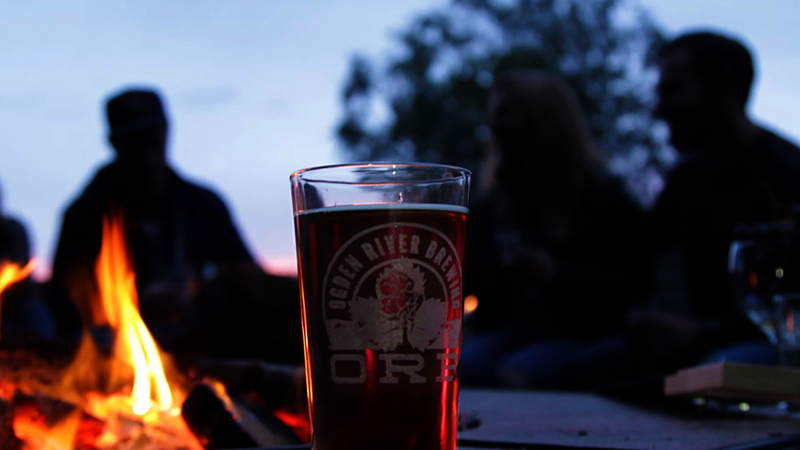 Ogden River Brewing & Garden of Brews – We don't just make great beer, we craft great friendships! "We don't just brew great craft beers, we craft great friendships and strong communities." "Can you imagine sitting in a swing in a garden of brews, tasting and drinking great craft beer with your friends watching the setting sun paint the beautiful Wasatch mountains? Can you imagine rolling in from a bike ride or walking your dog on the Ogden River parkway and enjoying a cold pint while Puppers munches a biscuit made from the grains that crafted your beer? Imagine hanging out with friends, drinking beers and making great memories." Pat’s Taps, (the tap room) will boast a tap wall that features Ogden River Brewing’s (ORB) finest small batch beers and a guest tap or two. We will also feature handcrafted root beer, ginger ale, cream soda, cold brewed coffee and kombucha! The decor will include photographs and memorabilia touting the rich history of Becker Brewing and Malting Co. founded in 1890 on the Ogden River and the exact site of our location. The outdoor lifestyle offered by Ogden will be highlighted in the taproom and beer garden featuring murals by local artists. The brewhouse and fermentation tanks will be openly visible and available for tours upon request.